An ultralight, cushiony water-gel that helps eye-area skin replenish its own moisture for a full 96 hours of intense, crease-plumping hydration. Instantly re-floods, tightens and brightens skin. 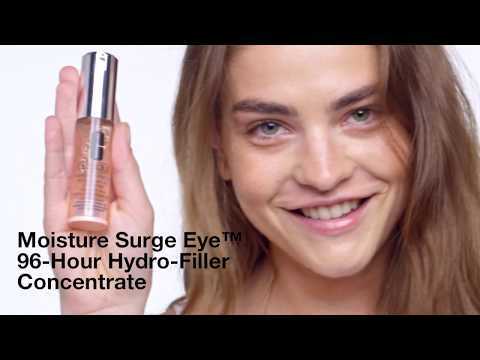 Hydrates delicate eye area for 96 hours of moisture using Auto-Replenishing Lipid-Sphere Technology. Auto-Replenishing Lipid-Sphere Technology with pure aloe butter helps rebuild skin’s lipid barrier to minimize moisture loss while encapsulated antioxidants break the cycle of environmental stress that can lead to premature aging. Massage all around eye area. Can be used alone, under makeup, or as a 3-minute eye mask.